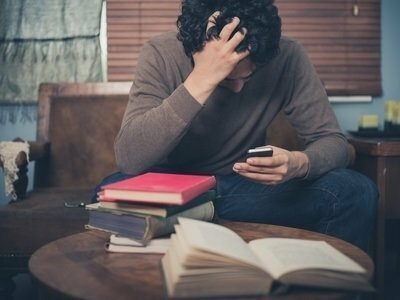 You might think turning off your phone is the best option when it comes to revising for your exams. Think again. It can be your best friend during the dullest of hours – and there are many ways to use it as a flexible study aid whatever the situation. Like the sound of your own voice? Then record your notes using the voice memo on your mobile phone, and then when you’re out and about, listen back. Train journeys, walking to and from lectures, cleaning your house, whenever you want. Listening to an audio is often more captivating than just reading – making whatever you’re studying that much more likely to sink in. Use your time wisely, and set the calendar and the alarm on your device to good use. The alarm can be set to go off when you need to revise, meaning no more forgotten sessions! Use the calendar app to make a schedule that charts when and for how long you need to set aside revision time. It’ll help you to stay focussed. Sometimes thoughts come to you out of the blue, or you remember key facts at inopportune times. Just use a note app to quickly make reminders, or jot down ideas and to-do notes for later – then they’ll all be there at your fingertips when you need them next. iMindMap (Thinkbuzan.com) lets you turn your iPhone or iPad into a fired-up brainstorming session, and it’s completely free. Allowing you to cross-platform sync across your phone and tablet, it’s an ideal app when it comes to using your phone to revise, and to help you organise your study time. For storage and task management, Dropbox (Dropbox.com) is ideal. Notes, documents, photos, files – all in one place. It’s available to download on all devices, including iPhone and Android, and is free unless you upgrade. iRevise (Irevise.com) comes with a minimal charge. But it’s while not strictly free, it is well worth it for the sheer ease with which it allows you to create quiz cards, timetables, notes, and audio recordings. Don’t think you have to turn off everything else. Music can be a nice revision supplement, and can actually help you to work smarter or faster. So, if you like a few tunes whilst tackling that mountain of revision, then take time out to create a playlist of favourite songs to get you working smarter! Perhaps DO turn off notifications for certain social networking sites – some will only be a distraction. If they’re still interfering too much in your revision then consider actually uninstalling them – you can always undo it when the exams are over. Liked our guide to how to revise with your phone? For more handy learning hints, check out these top revision techniques and ways to study for exams.